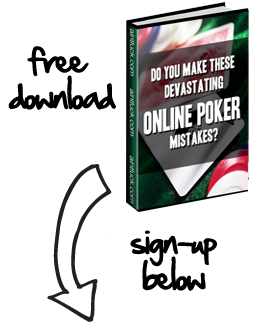 Are you a fan of online poker and want to find the easiest way to sit down and play? Do you yearn to play your favorite poker games, but would rather not deal with the hassle of downloading large software bundles? 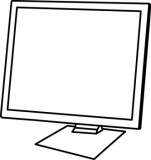 Do you want to play online poker, but don’t do so because you use a shared or network computer? If you answered “yes” to any of these questions, then perhaps playing at one of the many online poker sites that offer no download poker software is the option for you. By choosing to play at a site which offers real-time, no download software, you can quickly get in on the action without having to download new software on your machine. Play on Mac: If you own a Mac, as opposed to a PC, you can now play poker on a site that with a download, was only accessible to Windows based players. Play Poker game of your choice: You get to play the game of your choice, when you want, without having to use up valuable chunks of system resources on large files reserved for a download-able poker client. No download poker games include, Texas hold’em, Omaha Poker, and Seven Card Stud. No Download is Free: There is never a fee or a payment for a no download poker room. You can play in your browser for free. Of course, you can deposit money if you want to play in some real money games but all poker sites have “play for free” tables. How do No Download Poker Sites Work? Very simply, the vast majority of no download poker rooms function on existing web applications such as Java or Flash software. These applications are already present on most web browsers and do not require any additional installations for the no download poker client to function properly. Even more importantly, these two particular applications work on virtually all computer operating systems such as Mac, Linux and Windows. No more firewall and hidden security issues. Just open the page on your browser and play. No download poker clients offer just about all of the features that the full download versions do. Most allow you to play in all of the various cash games on the site and some allow for Sit and Go Tournaments & some Multi-table events. The games load quickly and seamlessly and are of the same high quality that you would expect from a full download. If that’s not enough, many of the no download poker sites offer deposit bonuses for players trying out the platform for the first time, given the incentive of free cash to try their hand at something new and exciting. Some even provide the option of playing no download casino games as well, giving users the complete gaming experience.